Christmas Coming Early This Year. . .
One of the things I’m working on right now is writing my message in our new catalog, which will be released on June 1, a month earlier than usual. We’ve been talking about and planning on major catalog changes this year, and it’s exciting to see a color proof and see all these plans coming together in the real thing! I wanted to share with you some of the thoughts I had as I pored over the pages. First, I already mentioned that we’re releasing the catalog earlier. Our demonstrators have been asking for that for awhile, but for various reasons we haven’t made that change. This year, we decided to go for it, and our demonstrators are thrilled! Holding the new catalog in my hands always feels like Christmas for me, especially as I look at all the new goodies inside, and it will be Christmas a month earlier this year! People who have seen our catalogs in the past will recognize the change in design and layout immediately! I haven’t seen the cover yet, but I’ve been involved in the design discussion, and I can’t wait! The cover will set the stage for the fun changes inside. . . The first thing that caught my attention is our photography. It’s crisp and bright and really shows off our products in a different way. Most of the samples are close-up shots rather than showing the entire project, which I really like. That approach helps me focus on a specific aspect of the project (the color palette, an image or an accessory, etc.) while allowing me to imagine what the rest of the project might look like, sparking my creativity as I think about how I might finish the project myself. Speaking of accessories, our accessories section is very different—and I LOVE it! The way we’re presenting our accessories makes me want to reach out and touch the ribbons and brads . . . everything! I really feel like the photography and design makes our products irresistible! The catalog copy caught my attention too. The callouts felt real and conversational . . . I had to read each one because they made me think of new things to do and try. And our demonstrator testimonials were fun to read as well. Many of the quotes came from my demonstrator friends, and I could hear them saying those things . . .I knew they were genuine, heartfelt thoughts our demonstrators were sharing. I didn’t count the samples or products or pages, but I know we have fewer than we’ve had in the past, but it didn’t feel smaller at all! I had worried that when the catalog came out, I might feel like there was a noticeable decrease in what we were offering, but I don’t feel that way, and I don’t think our demonstrators or customers will either. In fact, I’m pretty sure that they’ll feel what I’m feeling—incredibly excited! 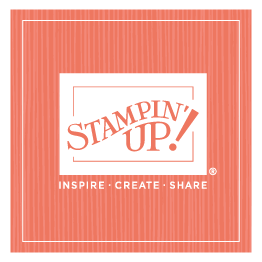 We’ve got new product I can’t wait to get my hands on, including amazing stamp sets, new coordinating products, fun accessories. . . I can’t wait to hear what you have to say about this great new catalog!